Hi TAY, did anyone sleep? Who’s angry this morning? 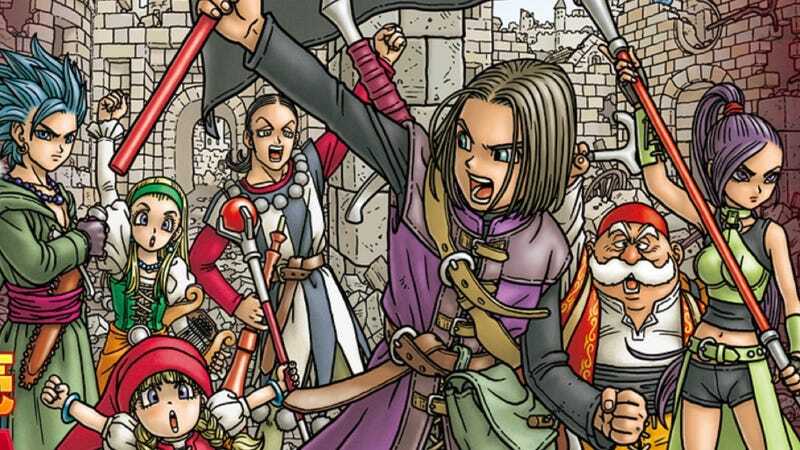 I just finished Dragon Quest XI after 140 hours. At 91% completion, something I don’t really care about, I’m thinking about that extra 9% to get to platinum. But that’s beside the point, during my extended time with the game, I found myself doing lots of ridiculous things when running around in cities. If a throne room had red carpets on the side, for instance, I’d run straight in the middle. If a town had stairs, I’d jump them every single time or over the heads of small NPCs. After you spend so much time with a game, you start to find little things to do instead of simply running back and forth. Or maybe that’s me! Because I’m ridiculous. But I always have a great time taking shortcuts down people’s stairs in their houses. You know, jumping over the railings from the top instead of walking down normally like a peasant. Pfft. Can’t make me do otherwise! Have you had any in-game traditions that you’ve done in any of the games you’ve played? You know, maybe there’s that one NPC you have to go talk to every time, even if it’s not necessary. Do I go for that 9% left? It shouldn’t be too hard. Just need to find a buncha cows to talk to. Who doesn’t want to talk to a cow? What should I finish next? Persona 5 or God of War? What games do you have unfinished from ones you started this year? Here’s to our Saviour. If only he could fix real life for us.